Lee May wants to hear from you on his recent Executive Order and the recent report that was released. Tuesday, Oct 13, 6:30-8 p.m.
Thursday, Oct. 15, 6:30-8 p.m.
Tuesday, Oct 20, 6:30-8 p.m.
Thursday, Oct. 22, 6:30-8 p.m.
Monday, Oct 26, 6:30-8 p.m.
Tuesday, Oct 27, 6:30-8 p.m.
Tuesday, Nov. 3, 6:30-8 p.m.
Thursday, Nov. 5, 6:30-8 p.m. In his initial list of Town Halls, DeKalb iCEO Lee May failed to included any location north of I-85 in DeKalb County. After Commissioner Nancy Jester sent iCEO Lee May a public letter inviting him to remember that all parts of DeKalb County are important iCEO Lee May, in responding to Commissioner Nancy Jester, scheduled a town hall meeting in Dunwoody. It turns out, iCEO Lee May has scheduled a Town Hall in Dunwoody for Tuesday, Oct 27, 6:30-8 p.m. at Dunwoody City Hall 41 Perimeter Center Dunwoody, GA 30346 which is the exact night Commissioner Jester has had her long scheduled in Dunwoody at the Dunwoody Library. In an effort to best serve Dunwoody, Commissioner Nancy Jester is combining her Town Hall with the Lee May Town Hall so people can visit with both DeKalb iCEO Lee May and Commissioner Nancy Jester in the same location. What appeared to be a conflict is now a win-win for Dunwoody. Canceling her Town Hall was never an option, but combining Town Halls removes any conflict people might have faced and allows for a larger crowd to address both iCEO Lee May and Commissioner Nancy Jester in the same location. “I always welcome iCEO Lee May to Dunwoody and am happy to combine our Town Halls on October 27 so that the people of Dunwoody can share there concerns about the Bowers-Hyde Report “up close and personal” with iCEo Lee May,” said Commissioner Jester. 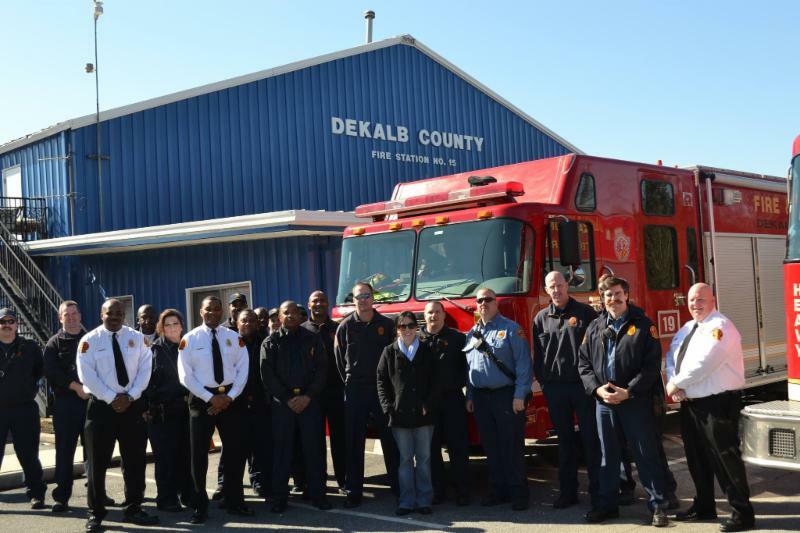 Commissioner Nancy Jester, who was not named in the Report of the Special Investigators to DeKalb County, is the first DeKalb County Commissioner to introduce substantive positive policy solutions to address The DeKalb County Corruption Crisis. Now, therefore we, the DeKalb County Board of Commissioners, do herby order the CEO, CFO, the Director of Human Resources, and all Department Heads to immediately implement internal controls that include requirements for the signatures of Department Heads and the CFO attesting to the validity, legality, and appropriateness of every expenditure, contract execution, and hiring action under penalty of termination and fines if found to be illegal, unethical, or without sufficient documentation. Why are DeKalb school nurses being ripped from their communities? Former DeKalb administrator demands special service and approximately 6000 children in 10 schools pay the price. Over the next six months Commissioner Jester will ask the community to support one of the six fire stations in District One. Commissioner Nancy Jester is asking community residents and businesses to show our appreciation for these hard working heroes by helping to stock the pantry at our stations. Staple food items such as sugar, salad dressing, seasonings, cereal, snacks, and beverages such as coffee, tea, sodas and sports drinks are welcomed. Children are invited to come see the truck and equipment. The Tucker Civic Association (TCA) and the DeKalb Association of REALTORS® will hold a Veterans Job Fair at Rehoboth Baptist Church on Thursday November 12, 2015 during the hours of 10:00 AM to 3:00 PM. The Fair will also feature Information on Veterans’ services, as well as complimentary resume critiques and on-site printing for resumes. Interested businesses, universities and veterans’ organizations are invited to participate. The suggested donation for a booth at the Fair is $100 for a large business (more than 100 employees) or $50 for a small business. Booths are complimentary for university and non-profit organizations, including Veterans groups. 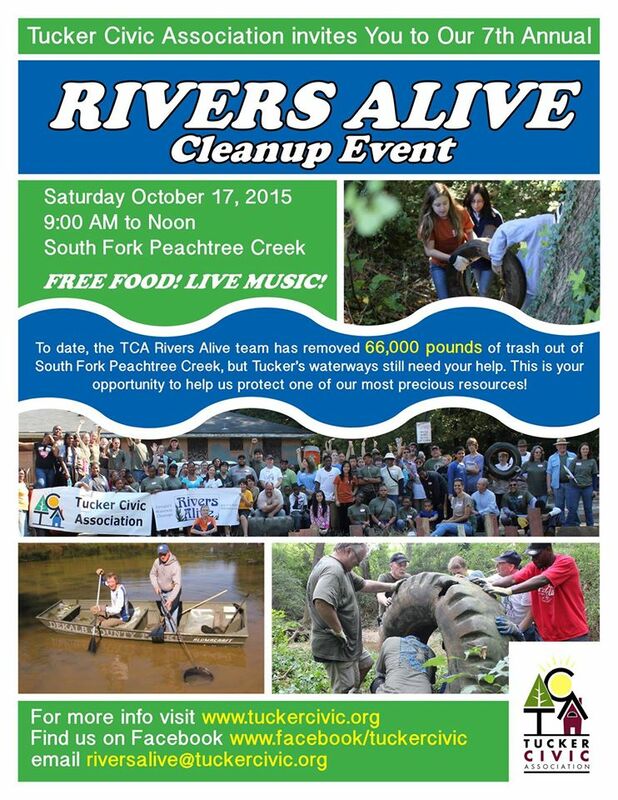 For more information, please contact Ray Ganga at 404-580-2671 or membership@tuckercivic.org. 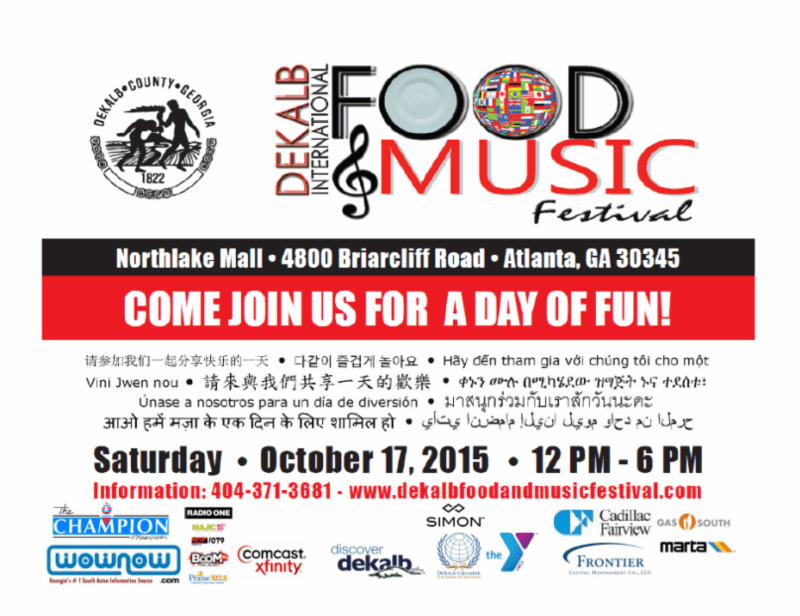 The DeKalb County Auto Auction is Saturday October 24, 2015 at 10.00am. Preview inventory online at ADESARigs.com and in person Friday October 23 from 9:00am – 5:00pm or Saturday October 24 starting at 8:00am. 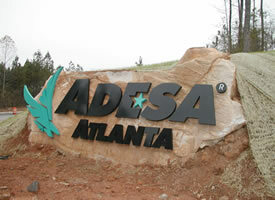 Call 770.357.2277 for additional information. 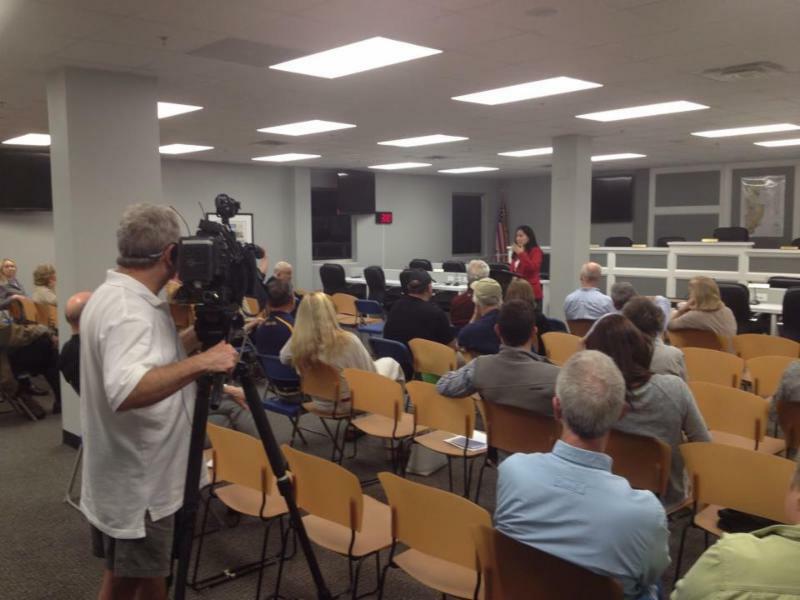 Commissioner Nancy Jester announces her third series of meetings listening to DeKalb County tax payers. 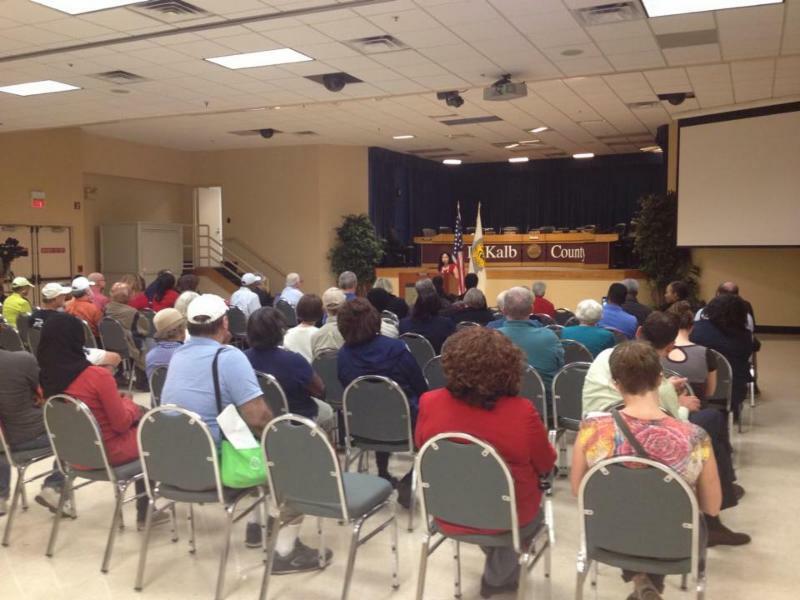 The Nancy Jester Listening to DeKalb County Town Halls are free and open to the public. The format will begin with a brief update from Commissioner Jester followed by discussion and questions from the public. Over 100 people from across DeKalb County at Lee May Town Hall – Just Without Lee May – hosted by Commissioner Nancy Jester in Decatur. 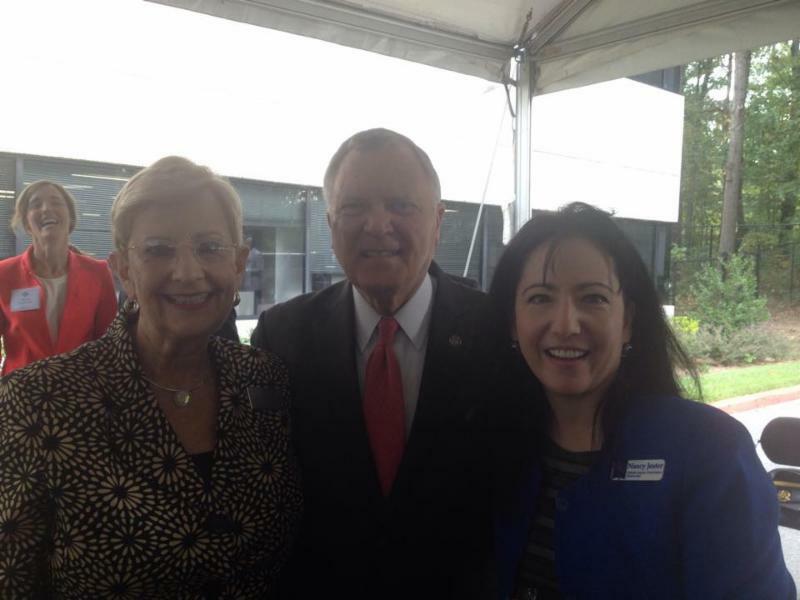 Great visit with Governor Nathan Deal and First Lady Sandra Deal in Tucker for the 50th Anniversary of the Georgia Student Finance Commission. 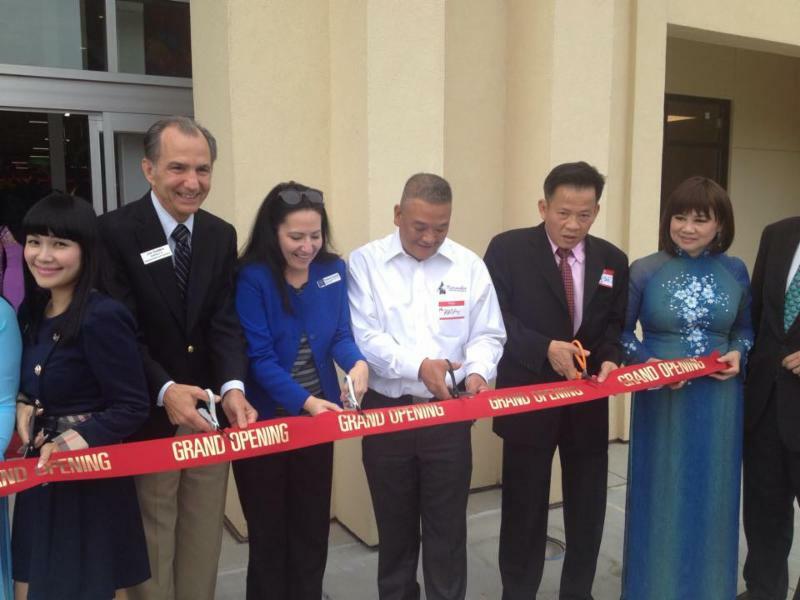 An honor to join in the ribbon cutting for the City Farmers Market on Buford Highway – a great new DeKalb County business. 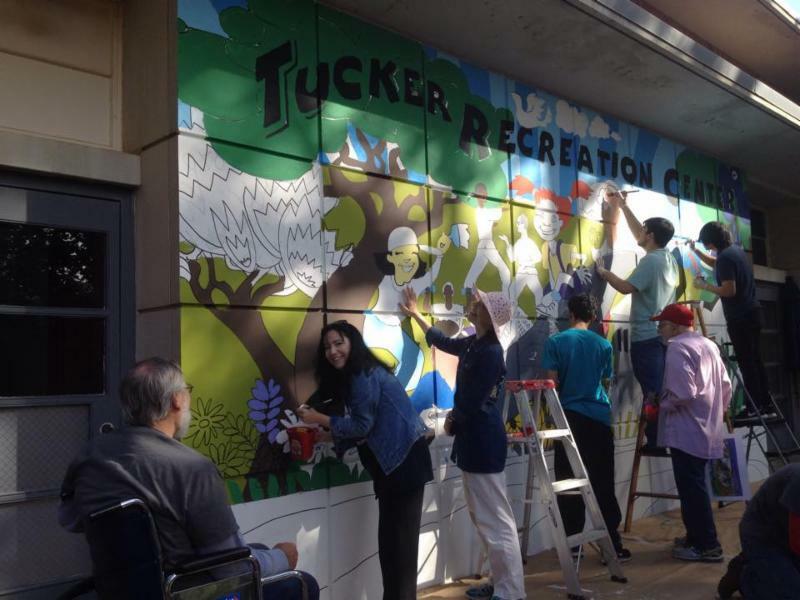 A very cool morning with my friends from Community Art Tucker and community volunteers, as they paint this wonderful mural on the Tucker Recreation Center. 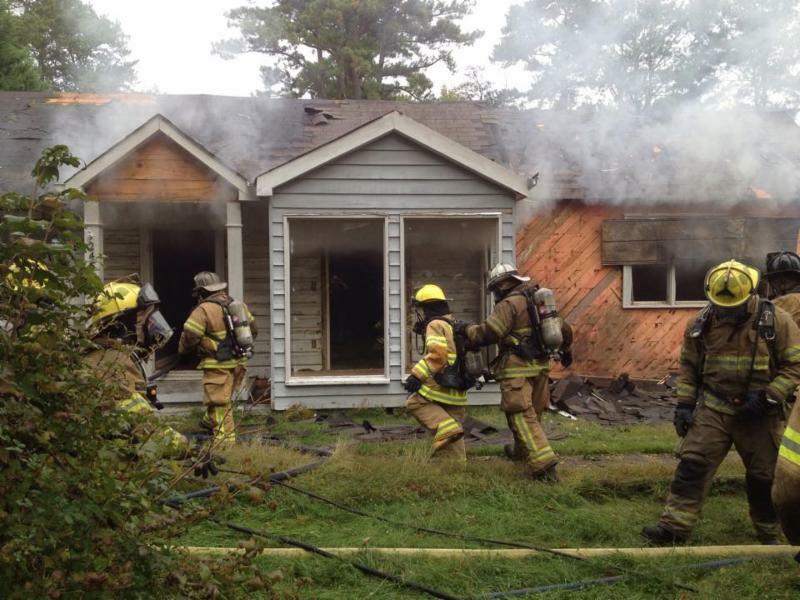 So proud of all the volunteers- especially the students from Tucker High School. Also, thank you for the support from Friends of Tucker Recreation Center. 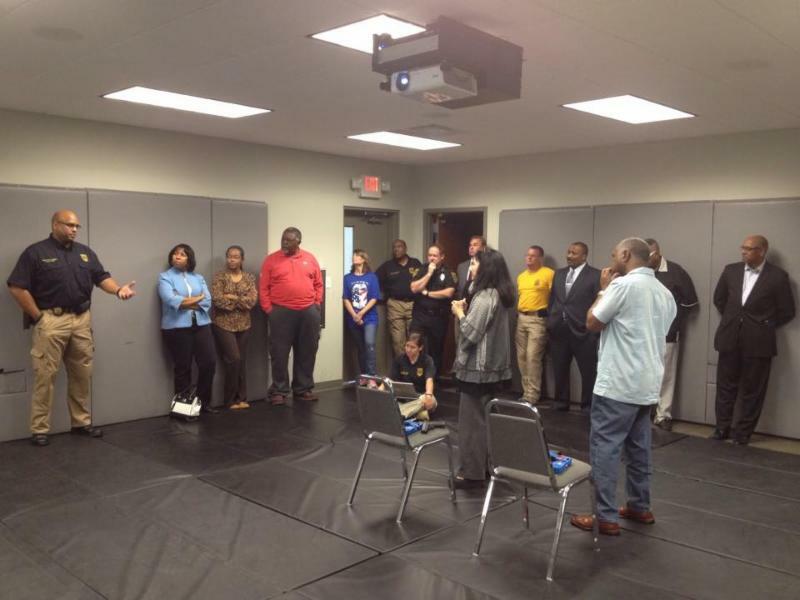 A great day learning from our heroes at the DeKalb County Police Department Use of Force Community Member meeting. Big crowd and a lot of media at the Nancy Jester Town Hall Meeting in Brookhaven.